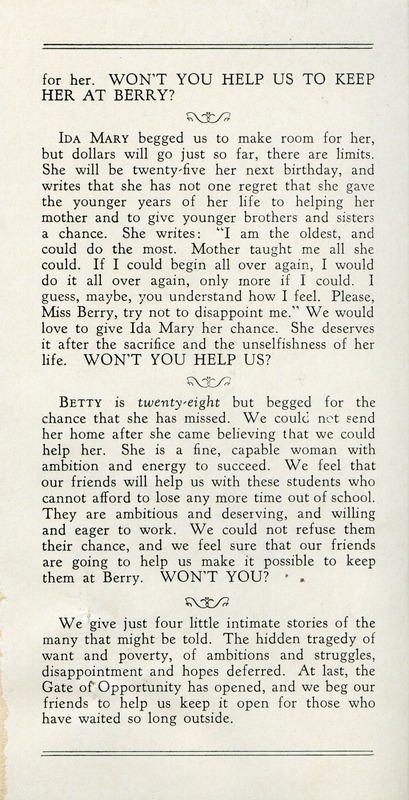 This document is a donation of $150 to the Berry School in response to an advertisement. 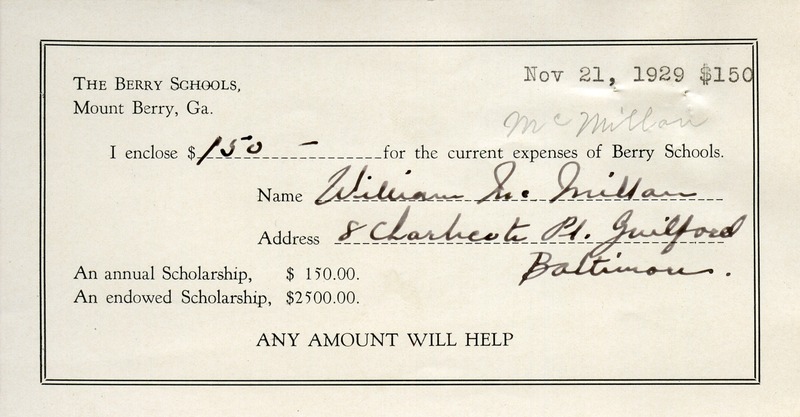 Mr. William McMillan, “A donation to the Berry School from Mr.McMillan.” Martha Berry Digital Archive. Eds. Schlitz, Stephanie A., Amanda Guidi, et al. Mount Berry: Berry College, 2012. accessed April 24, 2019, https://mbda.berry.edu/items/show/10594.